fragrances, synthetics, carcinogens or preservatives. natural pH. After a shower or bath, apply our Active 15+ Manuka Honey Skin Balm to eczema patches for the best results. Please see individual product listings for ingredients lists and further information. My partner got me the first jar as a Christmas present and I have been using it on cuts (before I go to the gym to protect and after the gym and shower). Most recently I have been using it to help heal a new tattoo and the results are amazing. 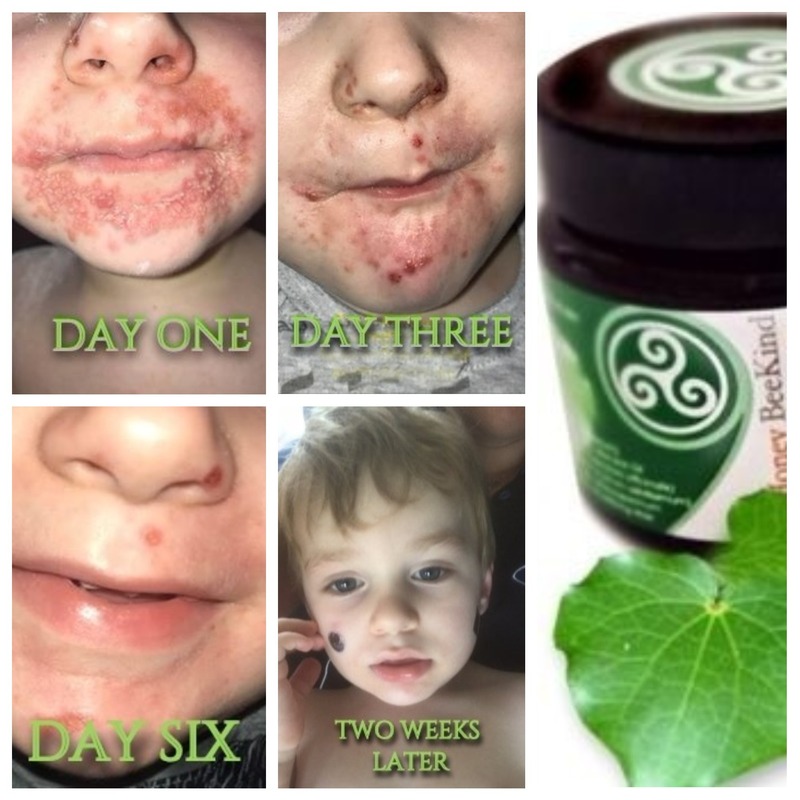 This balm helps with mild (facial) acne and healing cuts. I would not ever use anything else again. Fantastic service with ridiculously fast delivery for my first two orders from you. Love the balm and soap. I have psoriasis and the soap is fantastic when my hand is itchy. I just go to the bathroom and rub away. Didn't want to use at first as the bar was just so pretty so ordered more so I can have one unused one for guests to admire! I bought some icecream sticks to apply the balm as it was quite hard when I first received it. Works really well as it keeps the nails and hands clean and I can change sticks for different areas. Thank you! Click the button below to add the Kawakawa Eczema Balm & Soap Combo to your wish list.